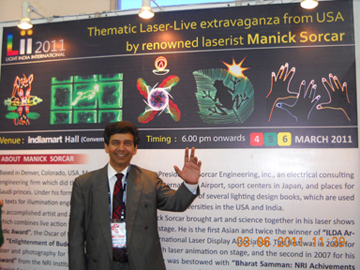 Manick Sorcar’s laser-live extravaganza thrilled the audience at Light India International (Lii 2011) that took place on March 4 through 7 at the Chennai Convention Center, the heart of the capital of Tamil Nadu. 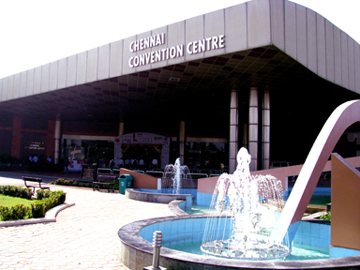 Organized by the Chennai Chapter of the Indian Society of Lighting Engineers (ISLE), the four-day event was the largest of its kind to take place in India, which had 200 participating lighting companies from around the globe including the USA, New Zealand, Australia, Taiwan, Korea, Japan, and Republic of China. 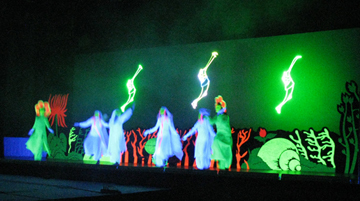 The event brought together all the stakeholders in the lighting industry and served as the platform to launch the upcoming brands, national and international, with an eye on the fast growing Indian market. 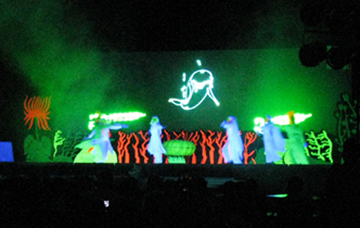 The highlight of the mega event was Sorcar’s thematic laser-live extravaganza that was shown each evening at a packed audience of the convention center, in addition to the event’s Grand Opening ceremony on March 4. 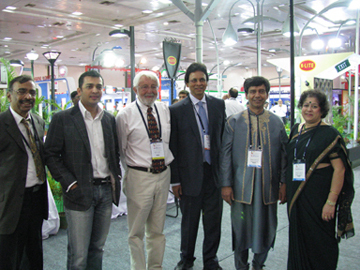 The event was inaugurated by Mayor M. Subramanium, and attended by Dilip Kumbhat, chairman of the expo, Avinash Kulkarni, national president of ISLE, Dinesh Agarwal, founder and CEO, Indiamart.com, and Himanshu Prasad, president and CEO, GE Lighting, among others. 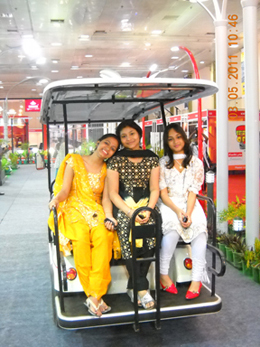 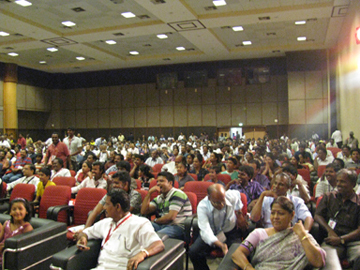 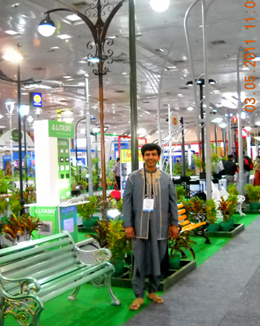 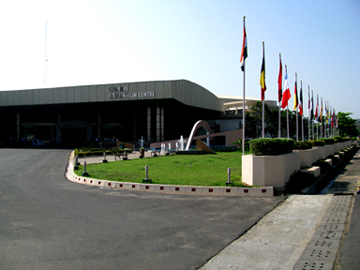 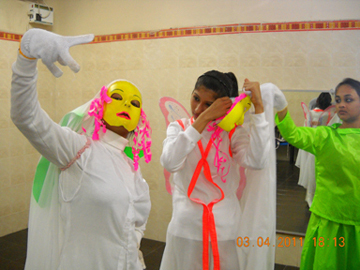 The 4-day event was attended by thousands of all demographic including students, professors and lighting enthusiasts from various universities and companies across the nation, who browsed around the entire exhibition halls and stalls – but in the evening gathered in the convention center auditorium to experience Sorcar’s laser magic. 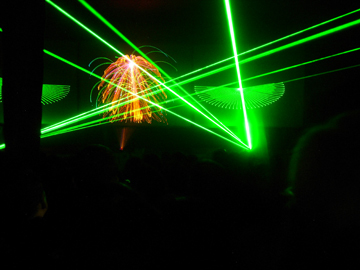 Sorcar is twice the winner and the first Asian to receive the ILDA Atistic Award for his innovative work in combining live action on stage with laser animation, from the International Laser Display Association. 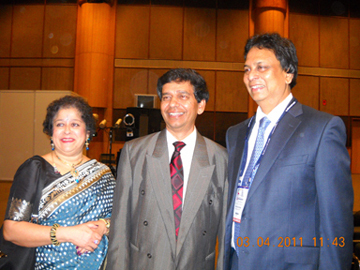 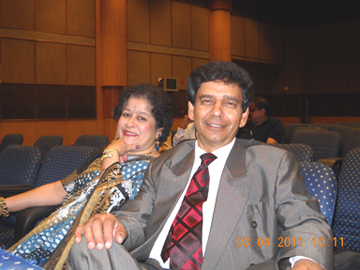 On last January 10, 2011 he was bestowed with “Bharat Samman: Achievers Award” from the NRI Institute, New Delhi. 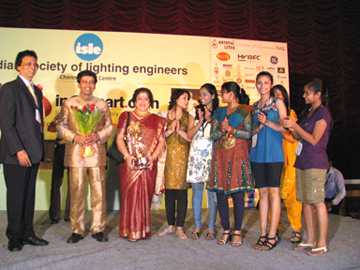 On March 7, Sorcar and his group were felicitated with flowers and awards from the Lii 2011 on the stage, for bringing laser magic in the mega lighting festival. 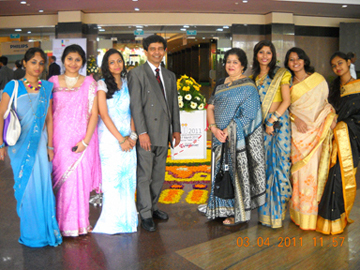 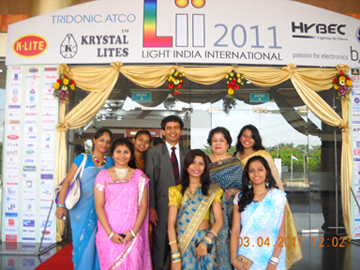 Manick, Shikha and the group felicitated with awards and flowers by Mr. Dilip Kumbhat, Chairman of Lii 2011.